Cooking with gas is made easier, quicker and more convenient than ever before, with a range of smart features that provide advanced cooking flexibility. 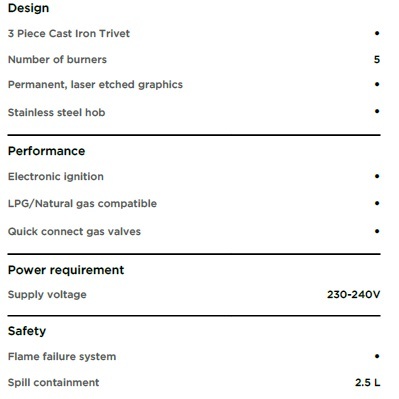 The Gas on Steel Cooktops offer different sizes and power levels for everything from a slow simmer for sauces, to an intense heat for steaks and stir-fries, with up to five different-strength burners including two wok burners. 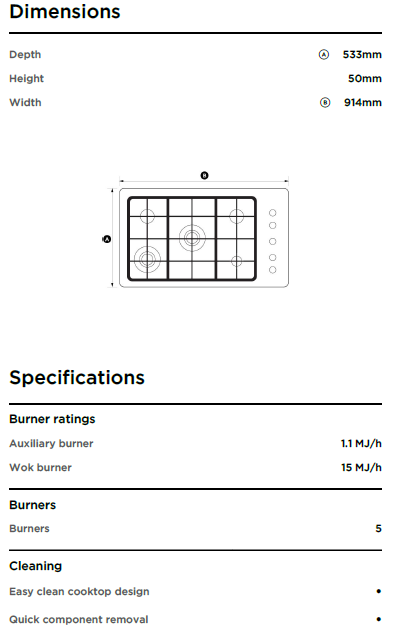 The high-power wok burners on the 90cm Gas on Steel Cooktops are amongst the most powerful available.